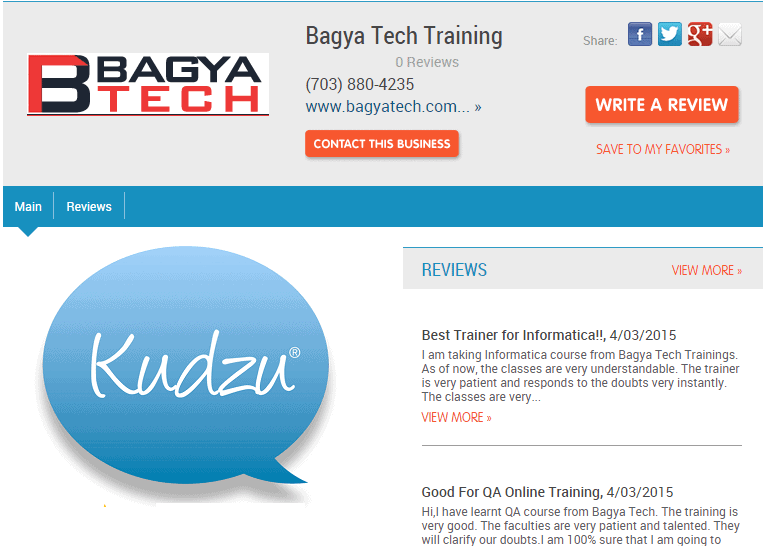 BagyaTech is not just another online training institute that offers courses on Testing Tools and other software technologies. We are transforming and redefining the online education. We are making learning a fun and interactive activity through which learners gain maximum and succeed in their careers. We offer trainings for JAVA, BA, Big DATA, SAP, QA, QTP, ETL, LoadRunner, Selenium, and Informatica testing automation tools. We have thoughtfully designed curriculum for every training module and make sure it is job oriented and career focused. Our world class facilities such video library, live recording, customizable training batches, etc., set us apart from our competitors and are the main reason for the appreciation from our clients. One-to-one training classes through Skype and other media. Assistance for interviews even after course completion. Easy and round the clock access to study material and interview questionnaire. Real time experience using our labs on cloud. We are backed by reputed clients, and expert software professionals and are responsible for our continued success. We, at BagyaTech, are committed to offer world class innovative online training experience for all learners and make sure all the learners get jobs and have successful careers in the future. We dedicate ourselves to build fruitful careers for professionals with our apt training and support.